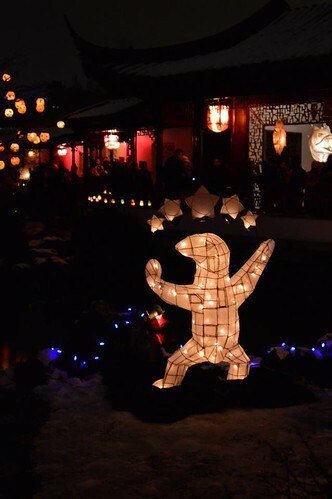 Black Bear Rebels performed at the Dr. Sun Yat Sen Gardens for the 20th Anniversary of the Winter Solstice Lantern Festival. I have always loved the Winter Solstice Festival, and have visited the sites at Roundhouse Community Centre, Granville Island and Dr. Sun Yat Sen Gardens and Park. In 2008, I met creator of the festival, Naomi Singer, at the BC Community Achievement Awards, and we vowed that we would find ways to support and participate in each other’s events. 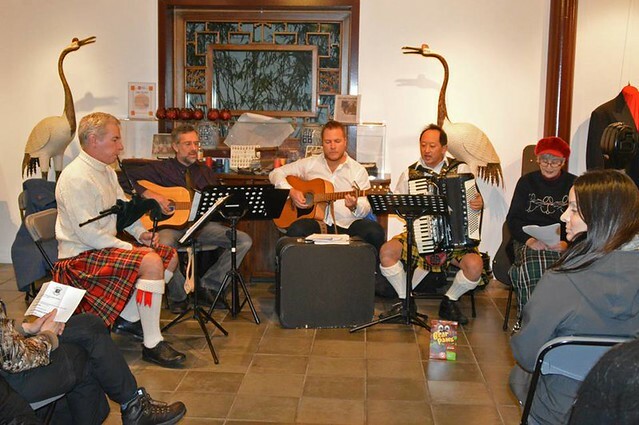 Our 2013 line up consisted of Allan McMordie (small bagpipes), Mike Gigliotti (guitar), Russ Ericson (guitar), Todd Wong (accordion), Mary Gavan (story teller). 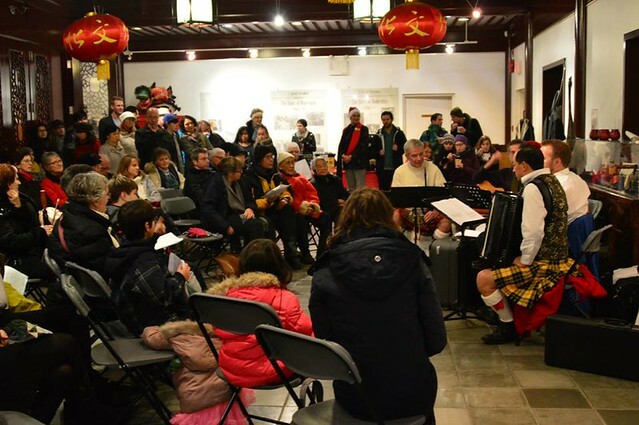 Mary is also going to be a featured performer at the 2014 Gung Haggis Fat Choy Robbie Burns Chinese New Year Dinner on January 26th. I have known her for many years, since when she first invited me to come tell stories and play accordion at events for the Vancouver Storytelling Society. The Garden was surprisingly beautiful with the light cover of snow, that reflected the lights of all the lanterns – photo by Caroline Ng.